All club members are welcome to join us at any of the events where there is space. Just check with Helen first. Friday, August 14, Ambassadors arrive, mostly on a 4:10 Southwest flight. Hosts and others will greet them at the airport with our Friendship Force banner. Saturday, August 15. 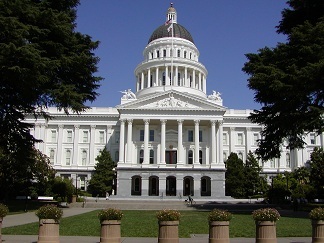 Hosts and their ambassadors will meet at the State Capitol rotunda for a docent led tour at 9:45 am. Members are welcome to join us for the tour. The Welcome Lunch is at 11:30 am at Fat City Bar and Café, 1001 Front Street, Sacramento. Members can sign up for the lunch on the web site. Following the lunch, ambassadors and their hosts will go to the Railroad Museum, Car Museum, or explore Old Sacramento, or other activities as agreed with the hosts. Sunday, August 16. This is an Independent Day with hosts. Monday, August 17. . Ambassadors and some hosts will meet at various pickup points at 8:00 am and travel by vans to Lake Tahoe, where we will see the new Donner Museum, have lunch at the Ghiglieri’s home, go to Tallac Historic Site and other lake view sights, and return to pickup points around 7:45 pm. There is limited space available for other members to accompany the group in the vans; inquire with Chris Smith if you want to go. Tuesday, August 18. All hosts and ambassadors have been invited to home-hosted brunches in the homes of other club members. This is something new for us, inspired by the wonderful brunches some of us attended on the Australia exchange. It is a chance for ambassadors to get to meet other members in a relaxed, unhurried atmosphere. Then we will meet at 2:00 p.m. at the Stanford Mansion, 800 N St, Sacramento, for a docent-led tour. The mansion has recently been reopened after renovation, and is a stunning example of the splendor and elegance of the Victorian era in California. Wednesday, August 19. Ambassadors and some of their hosts will car pool to Calaveras Big Trees State Park to walk among the Giant Sequoias. After a picnic lunch in the park, we will have options of browsing around Murphys and/or visiting Ironstone Vineyards. We need additional drivers, so if you are willing to drive, please contact Helen Flach. Thursday, August 20. The morning is free to spend with hosts, and in the late afternoon we will gather for the Farewell Dinner at the home of Jim and Karalee Heilman. This will be a fun gathering with a “California Hippies” theme, so bring out the old tie-dye and love beads and join us for a trip down memory lane. Members can sign up for the dinner on the web site. Friday, August 21. Ambassadors depart..